Many of the clients in Barking and Dagenham in London are not aware of how invasive Japanese knotweed is, in fact it is listed in the top 100 most invasive plants in the world. 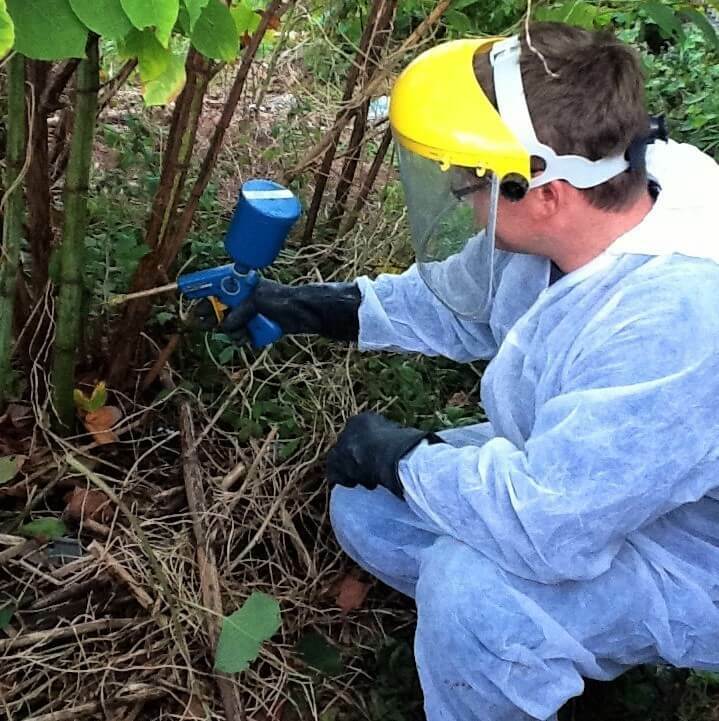 Therefore Japanese Knotweed removal in Barking and Dagenham is vitally important to control the spread. As the tiniest piece can regrow, and has been spread by both natural means and by human activity. Its vigorous growth can cause serious damage to nearby buildings, foundations and hard paved areas e.g. tarmac and concrete slabs. Structural damage can also be caused due to Japanese Knotweeds ever growing roots and shoots underground. The process we go through with our clients for Japanese Knotweed removal in Barking and Dagenham strictly adheres to the RICs guidelines. We will arrange for our PCA qualified surveyor to carry out an invasive weed management survey, which will include an inspection and photos of the site in Barking and Dagenham. A site plan will then be created identifying the location of the Japanese knotweed or another invasive weed. After discussion with the client, we will design a plan for the management or eradication of the invasive weed. The most common treatment method for Japanese knotweed is using a residual systemic herbicide treatment. If you need help with Japanese Knotweed removal in Barking and Dagenham, then Japanese Knotweed Expert Ltd if the company for you! Contact us today on 0800 1337 444 to arrange your site survey. Alternatively if you are not sure what invasive weed you have why not message us a photo via our online contact form or by Facebook?